It’s just over 4 weeks until voting begins! It is up to the businesses of Otley to decide if the Otley Business Improvement District (Otley BID) will be renewed for another 5 year term! If successful, the BID will continue to invest circa £375,000 into our beautiful town. Our plans on how this funding will be spent is outlined in our 2019-24 Business Plan which can be viewed on our http://www.otleybid.co.uk/business-plan-2019-24/ Our hope is that you will agree with us and vote for a second five years in the ballot which is being held from 8th October to 9th November 2018. I have an Otley business, how do I vote? Prior to the start of this secret ballot, all businesses within the BID area (who have a rateable value and that are liable to the Levy) will be sent ballot forms from Leeds City Council, who will be managing the process on our behalf. The ballot will run for 28 days from 8th October to 9th November 2018. Please complete the form as instructed and return your form before the end date of 9th November 2018, otherwise your vote will not be counted. More than 20% of the eligible businesses in the proposed BID area must vote. More than 50% of those voting must vote YES. Those YES votes have to represent more than 50% of the total rateable value of all votes cast. If these conditions are fulfilled, payment of the Levy becomes mandatory for ALL eligible businesses, regardless of how they voted. As the vote takes place on 8th October 2018, the Rateable Values used for the aggregate calculation will be based on those in force at the time. Does the BID have to abide by any kind of legislation? Yes – the ballot process and our Business Plan is governed by the Business Improvement Districts (England) Regulations 2004. These Regulations cover all rules pertaining to a BID application and can be viewed and downloaded in full from www.legislation.gov.uk/uksi/2004/2443. What happens after the ballot? Your vote will decide how £375,000 over the 5 year period of the renewal BID, will be spent. 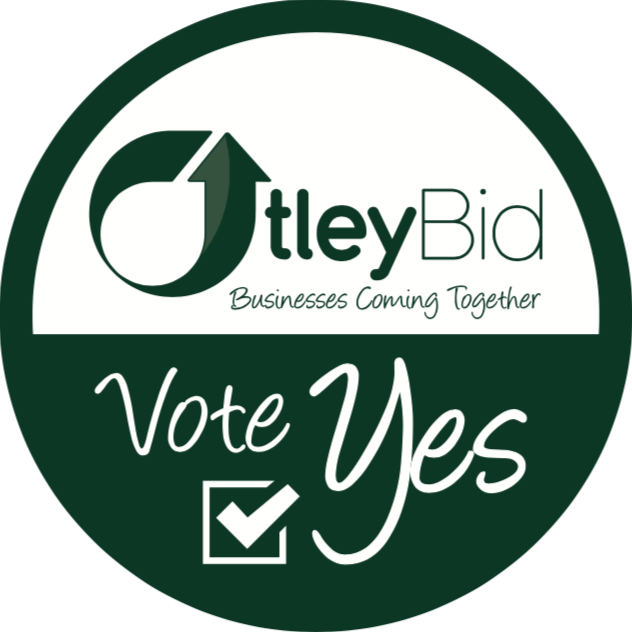 If we are voted in, Otley BID Ltd will once again be run by a voluntary board of directors drawn from people with the same business aspirations as you. I’m not sure how to vote. How can I find out more information? Face to Face : Throughout August, September & October 2018 we will be visiting as many Otley businesses as possible, to discuss our plans for the next 5 years. One to One Meeting : By contacting our part-time BID Manager Tim Wilkinson from Dowgill House on email at wilkinson@otleybid.co.uk or by telephone 07481 891 686. Online : or via our website otleybid.co.uk. Or via our social media at facebook.com/otleybid, or www.twitter.com/otleybid. 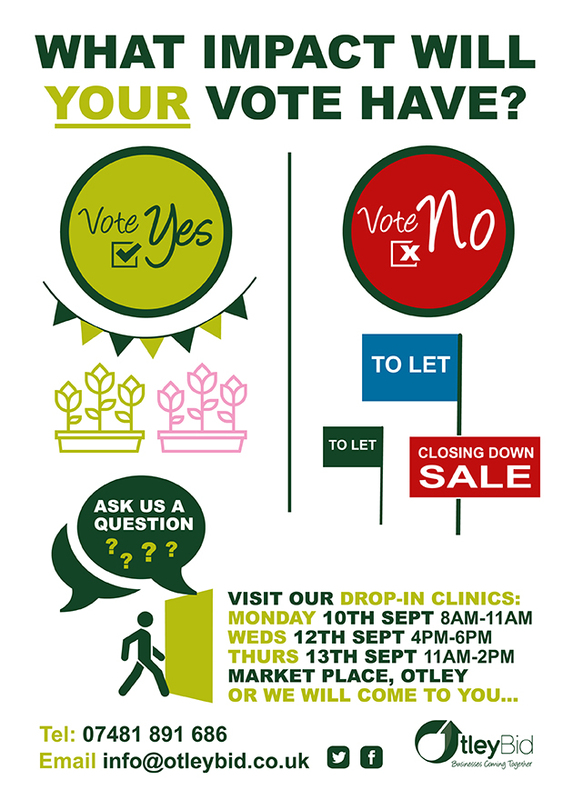 By Post : Otley BID Ltd, c/o The Old People’s Welfare, Crossgate, Otley, LS21 3AA. The BID is an investment scheme where local businesses can collectively agree on the priorities for Otley and how to invest your money to benefit yourselves, your staff, your customers and your town. Otley must continue to adapt to the increasing changes in the way people live, work and spend; shopping trends and the increasingly uncertain economic times are just two key factors. Reverting back to a reactive and piecemeal approach reliant on the goodwill of a handful of individual businesses, taking action on an ad-hoc basis as time and resources allow, and where planned investments are almost entirely dependent on the availability of increasingly scarce public resources. What has Otley BID done so far? 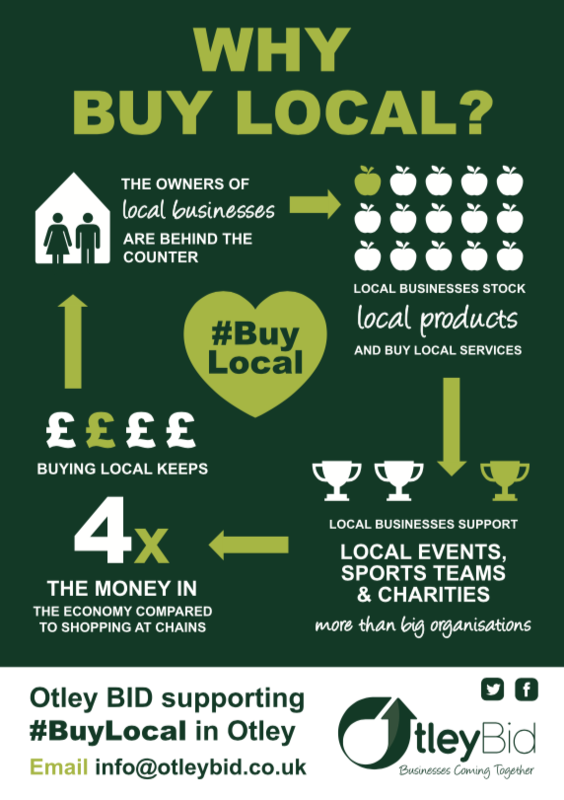 Many businesses have had the opportunity to recoup the cost of their BID levy by taking advantages of the BID Deals that we have negotiated with other Otley businesses, ensuring that we continue to give value to our business owners, and keep our money within the local community, continuing our mantra of #BuyLocal. Order your VOTE YES stickers today! If you will be voting YES on 8th October 2018, we’d love it if you can show your support by placing one of our stickers in your window. To order your sticker, please contact Tim Wilkinson at tim.wilkinson@otleybid.co.uk. Join us and together we will make a difference – VOTE YES!